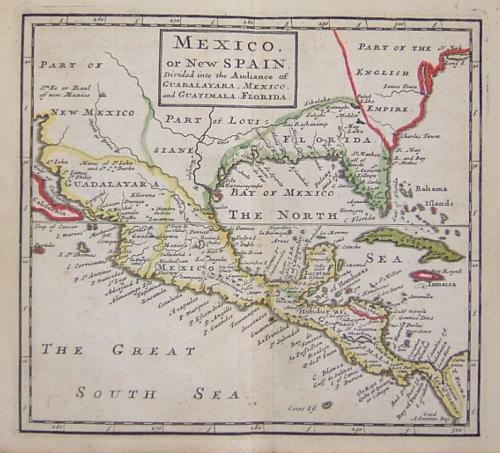 "Mexico or New Spain. Divided into the Audience of Guadalayara, Mexico, and Guatimala. Florida''. This map shows North America from just north of the 35th parallel and extends south to encompass all of Central America. Moll includes much detail of settlements and Indian tribes. This area was mostly controlled by the Spanish or French, though a large "Carolina" is shown with "Charles Towne" indicated.